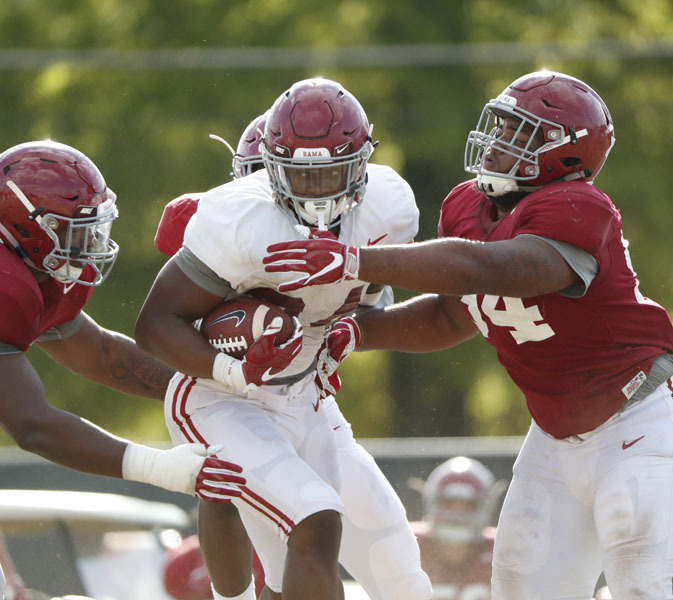 The Alabama football team held a two-hour practice session Tuesday in full pads as the second full week of practices got underway on the Thomas-Drew Practice Fields. 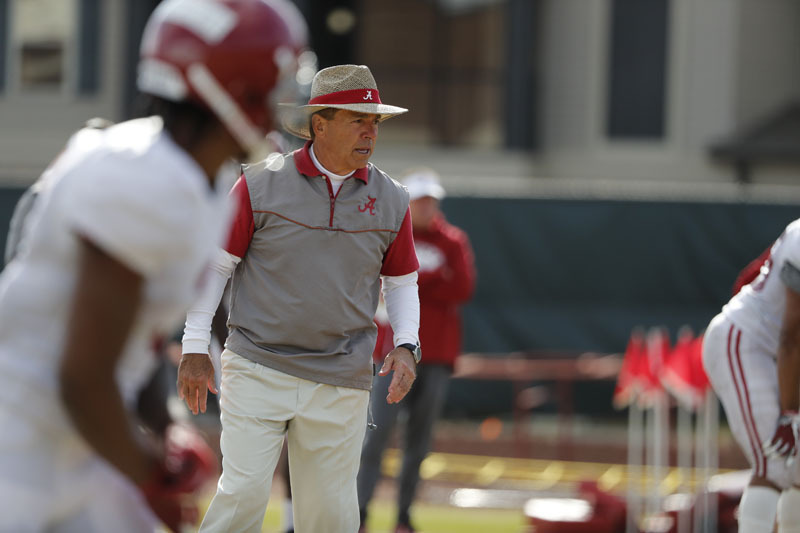 Tuesday marked Alabama’s sixth practice of 14 spring practice sessions before the 2019 Golden Flake A-Day Game on Saturday, April 13 at 1 p.m. CT inside Bryant-Denny Stadium. 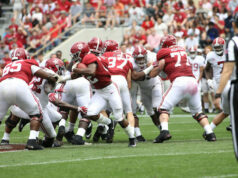 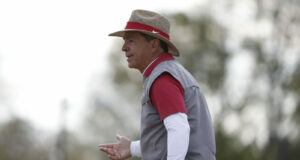 The A-Day Game is open to the public and will be broadcast on ESPN2. 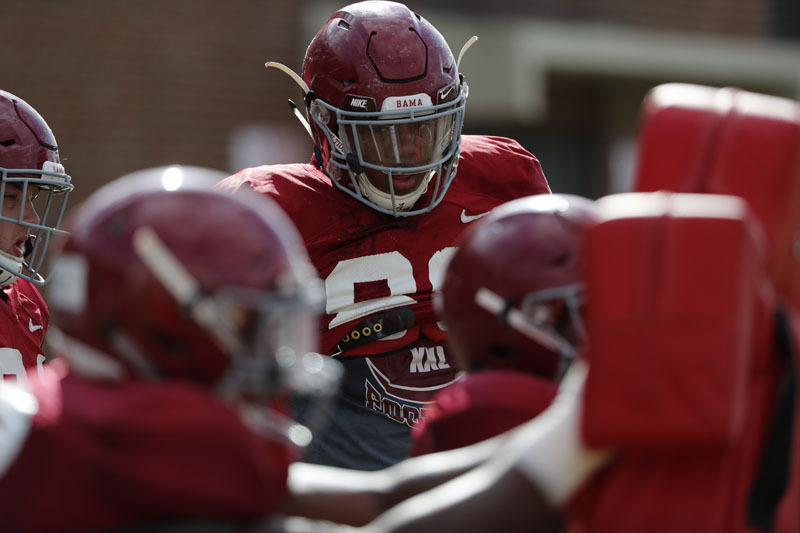 The team will return to the field this week for another practice on Thursday, March 28 at 3:30 p.m. CT, before holding its first scrimmage of the spring on Saturday, March 30. 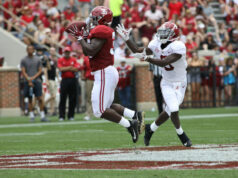 Media members wishing to attend Saturday’s scrimmage are asked to arrive at Gate 3 of Bryant-Denny Stadium by 12:00 p.m. CT.